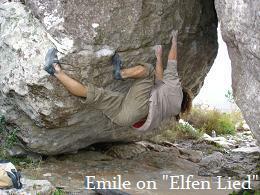 At Redhill, on the Vajra boulder, Emile Esterhuizen opened "Elfen Lied". 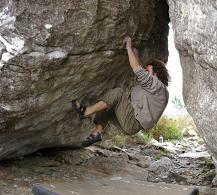 The line traverses a steep face on poor slopers and crimps. Although he refuses to grade the problem, those that have tried it think it's somewhere near the 8A mark, which would make it the area's hardest problem.